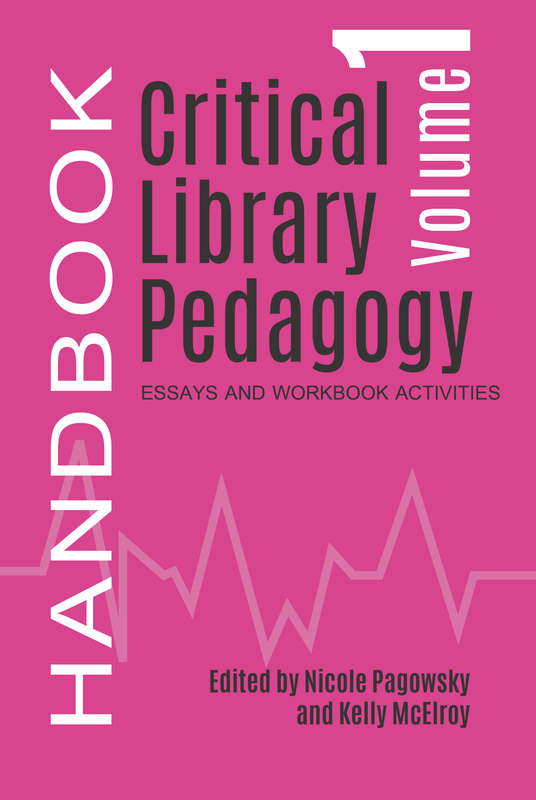 ACRL announces the publication of the two-volume Critical Library Pedagogy Handbook. Edited by Nicole Pagowsky and Kelly McElroy, these books provide a collection of ideas, best practices, and lesson plans that contribute to the richness of what it means to do this type of work in libraries. Critical pedagogy incorporates inclusive and reflective teaching for aims of social justice. It provides mechanisms for students to evaluate their social, political, and economic standing, and to question societal norms and how these norms perpetuate societal injustices. Teaching librarians have long incorporated social justice into their work, but focused interest in critical library pedagogy has grown rapidly in recent years. In two volumes, the Critical Library Pedagogy Handbook works to make critical pedagogy more accessible for library educators, examining both theory and practice to help the busy practitioner explore various aspects of teaching for social justice. Volume One, Essays and Workbook Activities, provides short essays reflecting on personal practice, describing projects, and exploring major ideas to provide inspiration for the exploration of critical pedagogy. The bibliography of each chapter provides a network of other sources to examine, and the volume closes with a selection of workbook activities to improve practice and understanding of critical pedagogy. Volume Two, Lesson Plans, provides plans covering everything from small activities to multi-session projects. Critical pedagogy requires collaborating with learners and adapting to their needs, as well as continual reflection, but these lessons provide elements that can be tweaked to fit many kinds of environments. These chapters also provide 30 different views on creating and delivering critically designed information literacy instruction and reflect material commonly requested by faculty—including introductions to databases, evaluating information sources, and the research cycle. The Critical Library Pedagogy Handbook set will help build personal teaching skills and identity, cultivate local community, and document the journey of critical practitioners. Critical Library Pedagogy Handbook is available for purchase in print and as ebooks for Volume One and Volume Two through the ALA Online Store, in print from Amazon.com, and by telephone order at (866) 746-7252 in the U.S. or (770) 442-8633 for international customers.